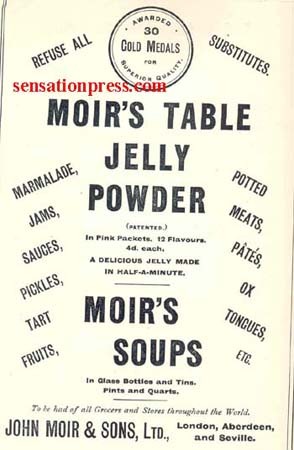 John Moir & Sons, Ltd.
Moir's Jelly is still an existing brand today in South Africa. 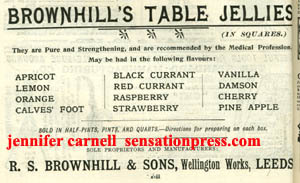 Flett's Fresh Fruit Table Jellies by W.H. 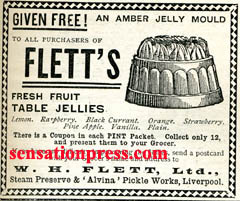 Flett. 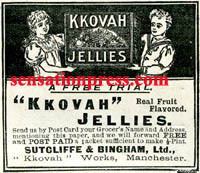 Kkovah Jellies by Sutcliffe and Bingham.